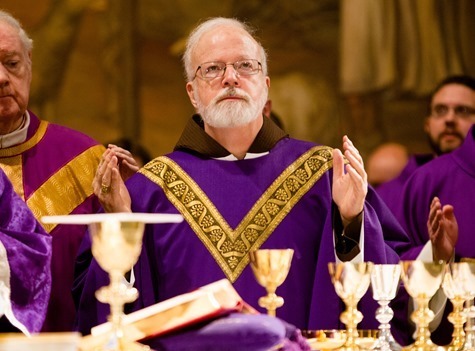 This morning, Sunday, March 3, Cardinal O’Malley joined a number of the other American Cardinals in concelebrating a Mass at the Pontifical North American College. 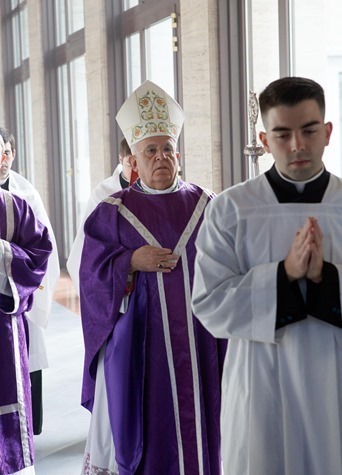 The main celebrant and homilist was Archbishop J. Augustine DiNoia,O.P., vice president of the Pontifical Commission “Ecclesia Dei”. 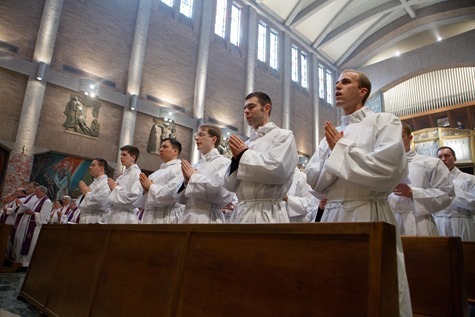 During the mass, about 70 seminarians studying at the North American College received the ministry of acolyte. 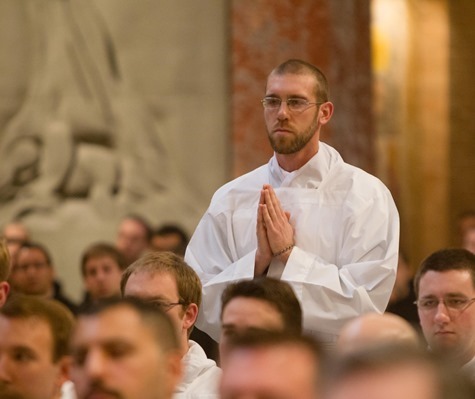 Formerly one of the minor orders, the ministry of acolyte is one of the steps the seminarians take in advancing towards ordination. 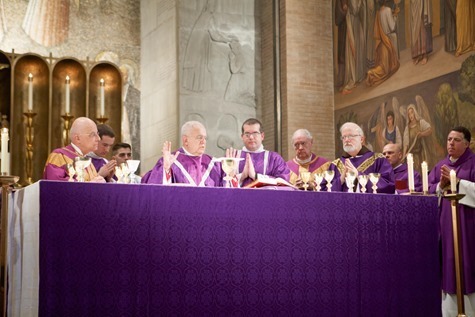 Though one might think the most important aspect of the Mass was the moment when each of the candidates approached Archbishop DiNoia and was symbolically handed a liturgical vessel, a sign that the ministry of the acolyte is to assist the priest and deacon at Mass and to prepare the altar. 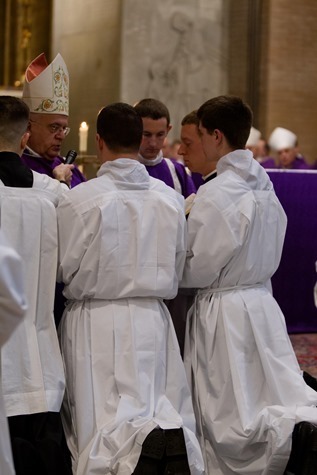 Instead, for me, perhaps the most significant moment was the “calling of the candidates,” a rollcall of sorts in which the name and home diocese of each candidate is read aloud. In response, each candidate stands, announces he is present and bows. The significance was not in the solemnity or the symbolism. 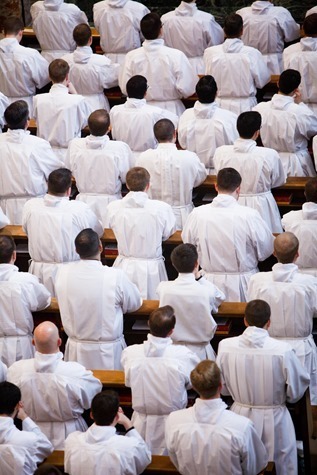 Rather it was in hearing the multitude of dioceses is represented among men receiving that ministry. 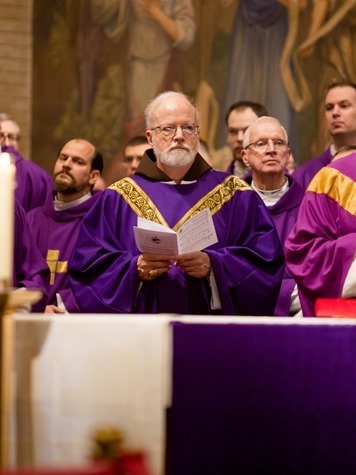 Among the candidates were men from all over the United States, from New York to Oregon, from Texas to Minnesota – and even one each from our neighboring dioceses of Fall River and Worcester. 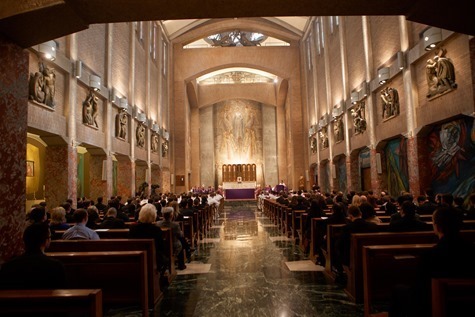 It was a clear demonstration of the great resource that the North American College is for the Church in the United States. 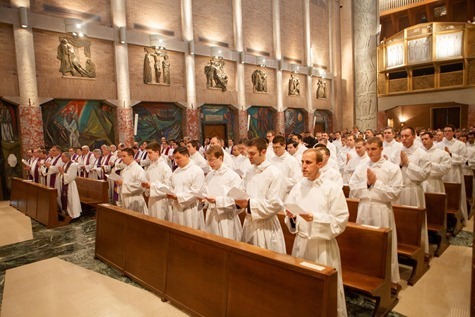 Also this evening was the usual gathering of Boston priests and seminarians who are stationed in Rome. They meet once a month at a local pizza restaurant to share stories and stay connected. There I caught up with Msgr. Cornelius “Connie” McCrae. Msgr. McRae was a long time pastor in Norwood before coming to Rome to serve as spiritual director at the North American College. Great to see & hear Msgr. McRae in Rome!